Building a thick lower back is the dream of many. Many bodybuilders even believe that if one achieves thick lower back muscles, a new level of fitness is actually achieved. Thick back muscles are not easy and often require long hours of training. These muscles help in building power, endurance and strength for bodybuilders and sportsmen which help in improving performance. It provides strength for long hours of training and also helps in improving balance, stability, and power. To this exercise, you need to stand on a platform which should ideally be 2-5 inches ideally. As you stand, your feet should be hip distance apart. Now, you need to bend from your hips so that you hold the bar at your shoulder width. Your shoulder blades shall protract. You will then slowly lower your hips and then also bend the knees till your shins touch the bar. You will look ahead. Your chest shall be up. Keep your back arched and slowly move through heels so that your weight moves upward. As bar slowly passes your knees, pull it back with full force. Your shoulder blades shall be together as you do this. Move the bar lower by bending from your hips. You need to do three sets of this exercise. Each of 10 repetitions. 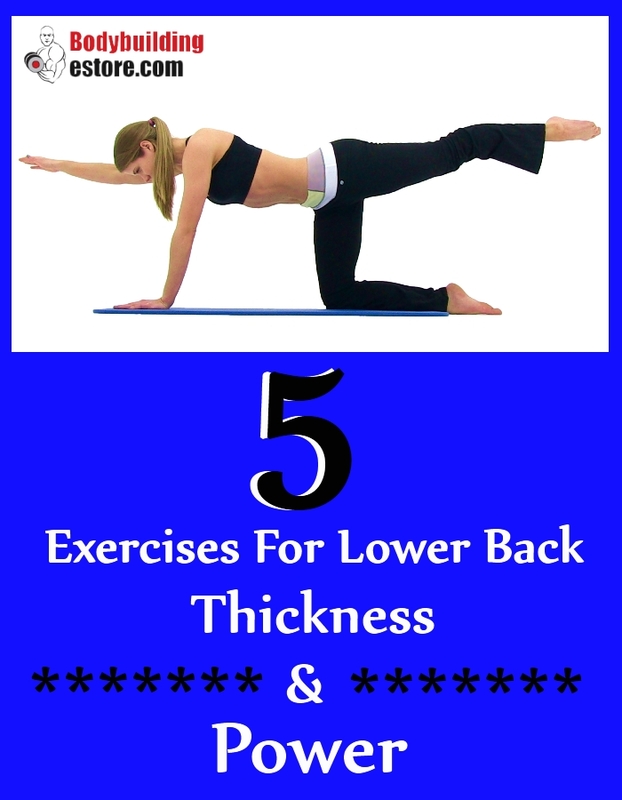 This exercise adds thickness and great power to the difficult lower back muscles. Start by lying down on the bench. Your thighs shall be across the pad. You should be comfortable enough to be able to bend from waist region. As you keep the body straight, you shall cross your arms right in front. You can also place them behind the head if you wish. Bend forwards gradually from the waist as much as you can. Your back shall be flat in this position. You shouldn’t round the back as you move forward. You will be able to get a stretch on your hamstrings. Do not exert yourself at this point and move your torso to the original position. You shouldn’t arch your back. Repeat 15 times which will be one set. You need to do 3 such sets. Squats are quite effective in overall fitness and building muscles. You will need a barbell for this exercise. Hold a barbell and keep it just in front of your. The barbell shall be with a shoulder width grip and across the top of shoulders. You will slowly raise the upper arms till you find they are parallel to the floor. You will let the bar roll back on the finger-tips. Do not let your elbows drop. You will push your hips back and lower your body as you bend your knees. Bend till you find that the thighs are bit parallel to the floor. Get your torso back to the original position. In this workout, your lower back muscles work overtime to help your torso maintain its balance and you do not fall forward. This helps in building thick muscles of great power. 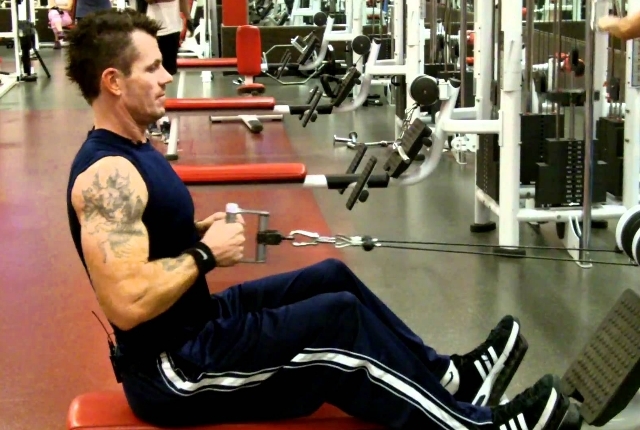 This is a tradition exercise which helps to add muscle and power to the upper back muscles. You will be adding a few seconds of pause as you do the movement. This shall help the scapular retractors to work for a longer duration. These muscles help in building muscles, strength, and balance. As you start the exercise, you need to pull the shoulders back and down. If you do not do this, your shoulder joint shall be stressed. You need to attach one straight bar to the cable station. Keep your feet braced as you position yourself. 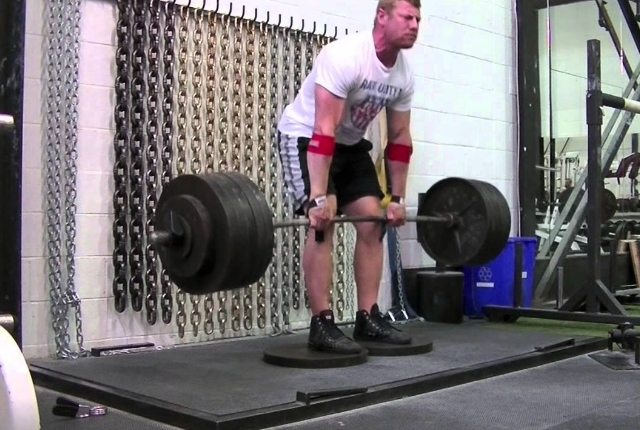 You can grab the bar with an overhead shoulder-width group. You can sit down upright. You can pull the bar towards the upper bars. You can pause for a few seconds. You can slowly lower the body and get back to starting position. Keep your torso straight and stay motionless. You may not lean forward or backwards as you perform the exercise. This exercise is quite powerful in building muscles and adding strength and power to the lower back. To make the most of this workout, you need to do this, in a slow and controlled tempo. You will then be able to feel the lats as you work on each rep. Start by sitting down at the lat pulldown station. You can grab the bar as you have an overhead grip which goes back beyond the shoulder width. Do not move your torso but slowly pull down your shoulders backwards and down. You can bring the bar close to the chest. Pause for a few seconds and get back to the start position. Repeat 10-12 times.